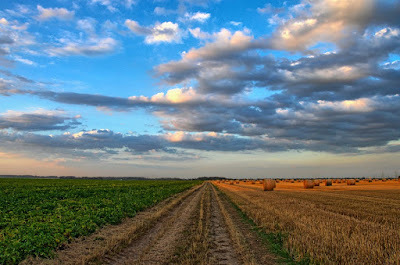 Environmental and agricultural organisations, farmers, scientists, officials and other participants attended a conference on 1st and 2nd of September in Tallinn and Matsalu to discuss the future of the EU’s common agricultural policy (CAP). Despite their versatile background, most speakers found that the CAP requires significant changes. Multiple participants signed an open letter addressed to the Agriculture and Fisheries Council of the European Union and other relevant EU decision-makers with their proposals how to repair the policy. Speakers at the conference stressed the importance of agriculture in providing food and various public goods. At the same time negative sides of the present-day agriculture like impact on water, problems with pesticides, biodiversity loss, hardship faced by family farms and land grabbing were discussed. Positive examples of dealing with these problems were also presented. The overall conclusion shared by most speakers, however, was that CAP does secure sustainable development of agriculture and is therefore not fit for purpose. “We need a policy that is fair to farmers and all rural dwellers, is environmentally sustainable, promotes the production of healthy food and is globally responsible,” says Aleksei Lotman, Expert on agri-environment of the Estonian Fund for Nature. The signatories of the open letter found that paying subsidies from public money is only justified if it helps preserve public goods that would otherwise be lost. “These public goods include high nature value farming that supports conservation and restoration of semi-natural communities, traditional mosaic landscapes and the habitats of many species. Organic farming that incorporates the principles of the circular economy and protects the biodiversity of pollinators and soil biota is in dire need of increased financial support,” says Lotman. “Today, the majority of the CAP budget is spent on direct payments that increase inequality and do not account for environmental hazard. Changing this system according to the proposals in our open letter would release more than sufficient resources to finance subsidising of the generated public goods in agriculture,” he added. The open letter is signed by Aleksei Lotman (Expert on agriculture and environment, Estonian Fund for Nature), Ottilia Thoreson (Programme Director, WWF Baltic Ecoregion Programme), Sönke Beckmann (Senior Policy Manager for CAP post 2020, Landcare Germany), Jabier Ruiz (Senior Policy Officer, WWF EPO), Inés Jordana (Senior Agriculture and Food Policy Officer, SEO/ Birdlife), Lennart Gladh (Senior Baltic Specialist Advisor, Gladh et Plana), Gwyn Jones (Chief Executive, European Forum of Nature Conservation and Pastoralism), Mikhail Durkin (Executive Secretary, Coalition Clean Baltic), Henriette Christensen (Senior Policy Advisor, Pesticide Action Network Europe), Kaul Nurm (Member of the Council, Estonian Farmers Federation) and many others. The conference ‘CAP 2020. Towards Sustainable Agriculture’ was organised by the Estonian Fund for Nature. 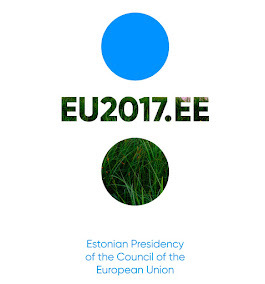 The objective of the organised conference within the scope of the Estonian Presidency of the Council of the EU was to promote open discussions on CAP 2020 and to contribute to the establishment of a more balanced and environmentally-sustainable agricultural policy in the European Union. Comment by Cees Witkamp: After the nice conference in Tallinn, and the fieldtrip I am curious what is going to happen afterwards. In the way I see Estonia changing, it goes rapidly towards industrial farming and industrial forestry, with Nature only existing in the Natura2000 areas. To avoid this "black future" for the country, something should be done. 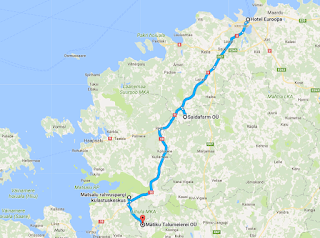 What also was mentioned in Matsalu, Estonia needs new allies and a strong coalition. There has to be some kind of strategy and a strong organisation which is able to discuss these topics with both the overnment, farmers lobby and others. My question is if all of this is already running in Estonia, or just has to start. So it would be nice to know a little bit more about what will happen after the conference. We at ELF are aware of these developments and do our best to turn the tide. Therefore, replying to the question if things are already running in Estonia, one can say yes, they are. However our capacity this far has not been sufficient to counter all the negative trends you mention, and in order to avoid the "black future" we have to do more. The work immediately after the conference will include disseminating the results. In the longer run - still more work on CAP, in cooperation with the farmers - environmentalist alone can not do the trick. All constructive ideas are welcome.